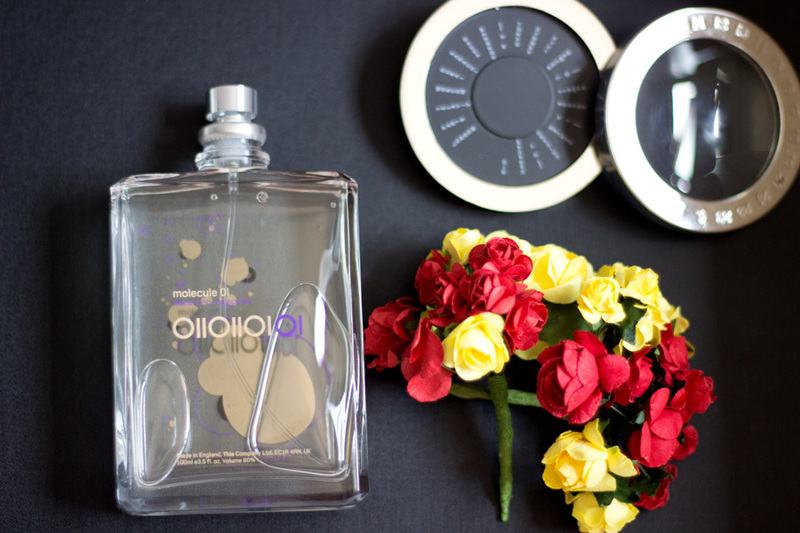 I am a big fan of fragrances and I just love to collect them and discover new ones. Most of the fragrances in my collection are quite predictable. I am attracted to any fragrance that has Fig, Woody notes, Musk, Tuberose, etc and I love floral scents every now and then. Okay, I just love many notes but I won't classify myself as a complete Citrus fragrance girl but I do love some of them. However, the newest fragrance in my collection is nothing like any fragrance I own and I am enthralled by it. 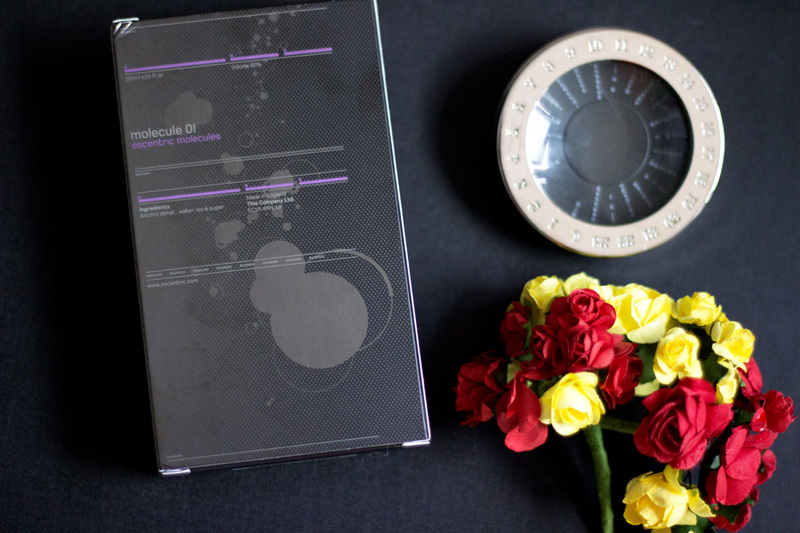 It's none other than the Escentric Molecule 01* which is more like a pheromone as opposed to a regular perfume which is why it is so unique. I have heard so much about this fragrance especially in the past two years so I was delighted to be sent one to try. I thought it was time to share my thoughts on it having tried it out for a while now. The Escentric Molecule perfumes were created by Berlin Based Perfumer- Geza Schoen who has many years experience in the perfume world gained in various cities including London, Paris and different countries such as Argentina and Singapore. He has also worked with many brands and helped create various perfumes for them. 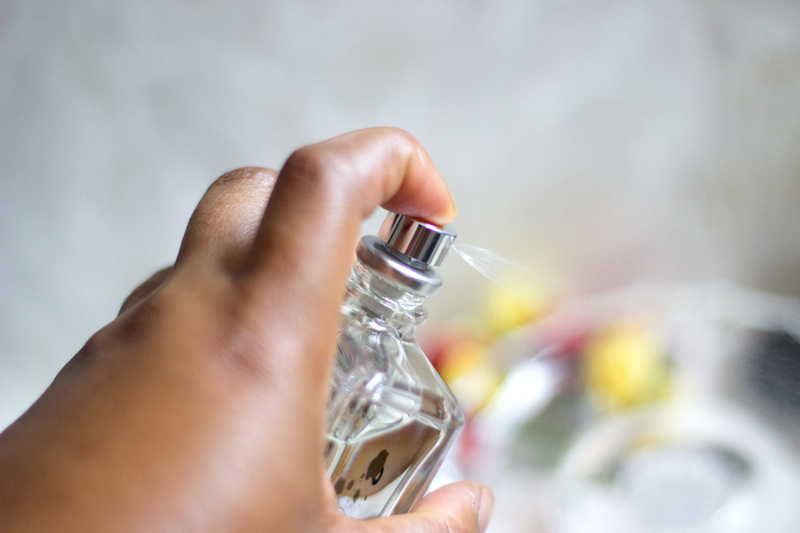 He came across Iso E (the main ingredient in the Escentric Molecule Scents) which is used in many perfumes and decided to isolate and utilise it as a main ingredient of a fragrance. 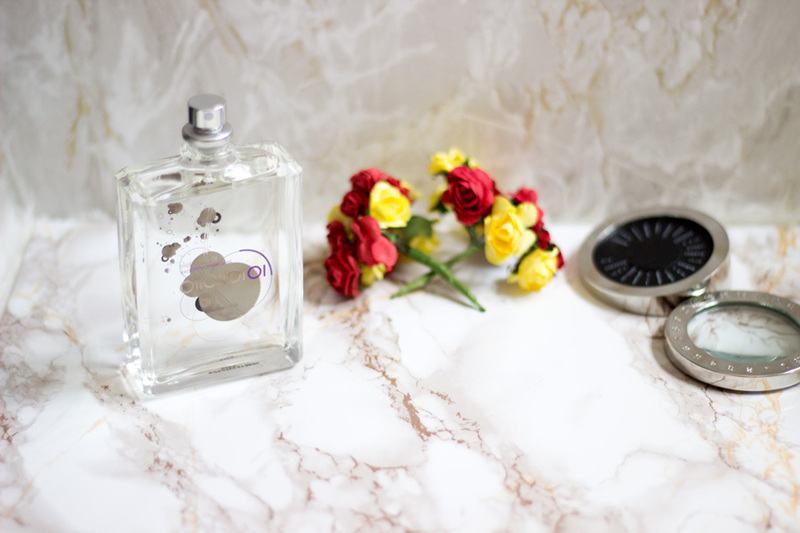 According to Geza, he was fed up of having to combine various molecules to create a fragrance and wanted to try something new and that's how the Escentric Molecule Fragrances were created. 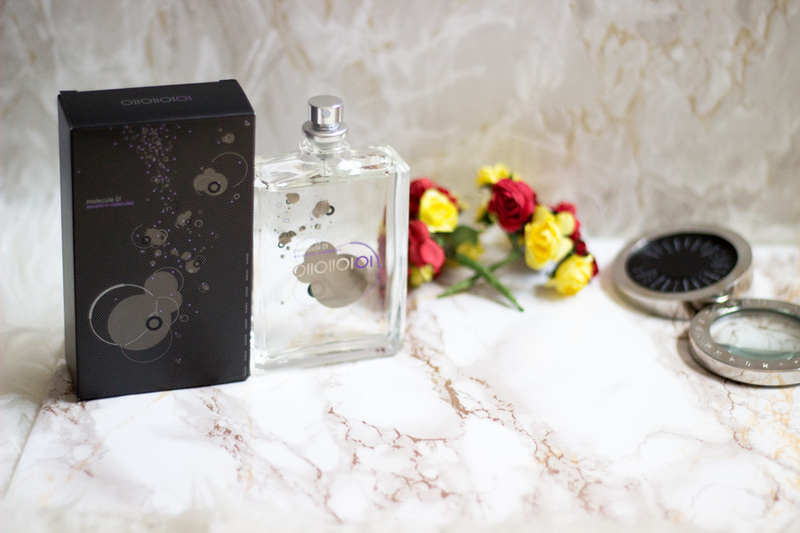 There are a couple of variations to the Escentric Molecule perfumes including Molecule 01, 02 and 03. The one I have is the Escentric Molecule 01. Everything about this fragrance down to the packaging is rather unique and quite simple if I might add. 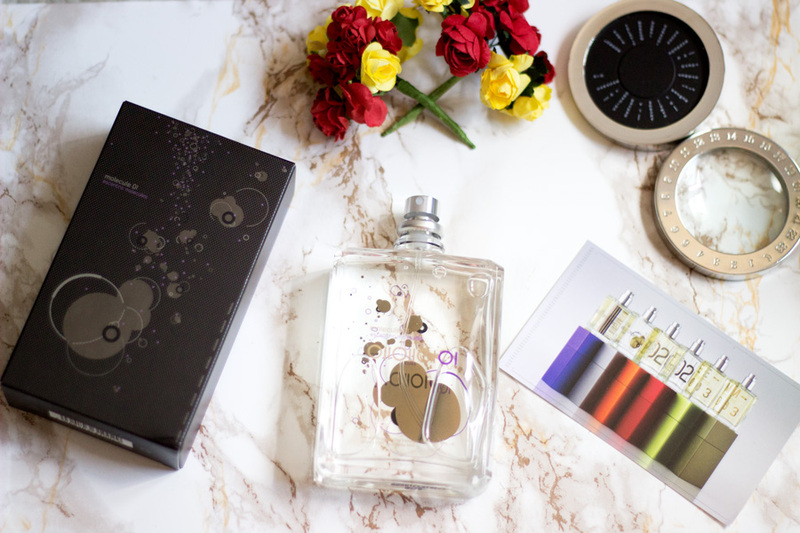 The outer packaging comes in a regular box like any other fragrance but it has illustrations of the Molecule 1 all round it which gives it an abstract look. The Chemistry girl in me was busy trying to work out how exactly the molecules work together and how other molecules could get attached because I am a silly nerd like that (I could not work out anything though!!!). The bottle I received contain 100 ml of fragrance which is standard for many fragrances. I believe it also comes in a 30 ml version which I would be purchasing because it comes in a refill so it would be super handy to travel with. The bottle has similar illustrations as the outer package. It is a clear bottle so you can see how much product you have left and it does not have a lid. At first, I thought it must have fallen out of the package but truly it does not come with any lid at all. I found that really interesting because I have never had any fragrance without one. This may make it slightly difficult to travel with although I think they do sell colourful aluminium travel cases for this fragrance which you have to buy separately. I really do like how unique it is and I guess that makes people want it even more. 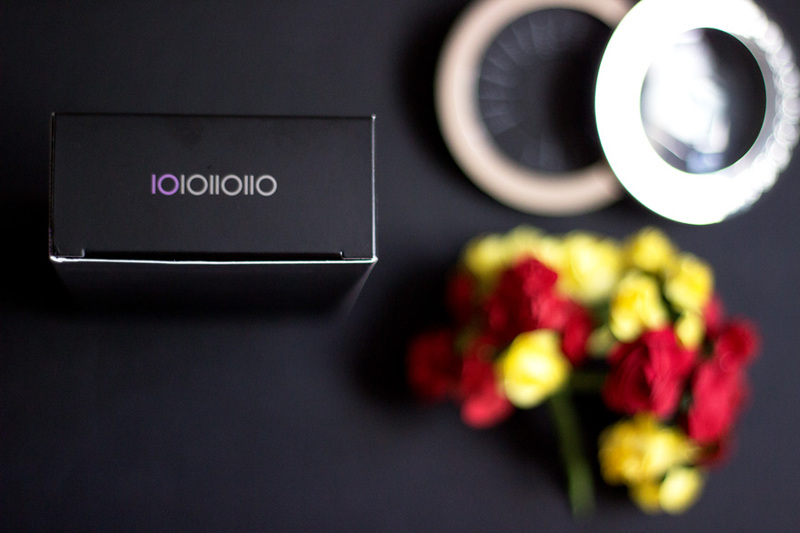 I think the unique thing about this fragrance is that it is made from only one molecule which is known as Iso E in the perfume world. It contains 65% Iso E in addition to other ingredients including Pink Pepper and Lime. This unique quality made me really want to try this fragrance and understand how exactly it works. Now, it is aimed at creating more of an effect on others as opposed to yourself. With this in my mind, I feel it is one fragrance that you either love, hate or are just meh about. Thankfully, I fall into the camp of loving it and I am glad about it. Now this is where things get interesting as there are no notes to talk about. I could not detect any notes whether top, base or heart note. It's not much of a surprise per say because it is essential made from a single molecule. However, I did notice a slight sharp woody/cedar-like fragrance which disappeared quite quickly. The unique selling point of this fragrance is that it reacts with everyone's body chemistry in a different way. This is why it is very hard for me to describe what kind of fragrance it is. I can only talk about my experience with it. I was very excited as I have mentioned many times to finally get to try it after reading quite a few rave reviews. The first time I sprayed it on around my pulse points, I noticed a slight woody scent which felt a little sharp when I first used it. However, it quickly disappeared and I was like "erm, I am pretty sure I used this fragrance a short while ago". It does seem to disappear completely after a short while when you spray it and I could hardly smell it on me. I was a little taken aback and decided to top it up again. I didn't realise that it is designed more on the effect it had on other people and not you in particular (although I did notice it in myself in my experience). You can imagine my shock a few hours later when I was out and about that I detected a fragrance. I was thinking "oh I like this fragrance; I wonder if it is the lady beside me who has the amazing scent". When I got home, it was even more evident and I thought hang on a minute, could it possibly this fragrance that I sprayed ages ago which has finally come to live. Indeed it was!! I was so surprised and when I took off my clothes (yes, I did crazily spray some on my clothes), it was even stronger. I believe it took a while to get accustomed to my body chemistry and evoke such a lovely unique fragrance which I absolutely love. When I went to Scotland, I told the BF to try it and he said " it does not smell like anything and I can't even smell it on me". However, I love the way it smells on him which is totally different from how it smells on me. Different body chemistries you know!! I already said earlier that it is a fragrance people either love, hate or feel meh about. I think the main reason would be having a good understanding on how the fragrance is meant to work. It does not have the best immediate silage but it does resurface after a while when you least expect. As a result, it may lead you to spray more and more leading to waste when all you need is a small amount on your pulse points. If you like fragrances that are very unique, a bit on the androgynous end, you would love this. However, if you like regular fragrances with notes you can recognise, this may not be the one for you. It is impossible to know if you would like it or not because it all depends on your body's chemistry which is why it is necessary to test it out in yourself first. The problem with that is it's mainly sold online although you can pick it up from Liberty UK. I wear this on days when I want to feel really zen and different and on days when I know it would be humid or warm. The reason being that I feel it works best when my body is doing more work than normal (like when I am active). If you are somewhat of a tom boy or have an androgynous inner side, this is one fragrance you should definitely try because I feel it is perfectly unisex. 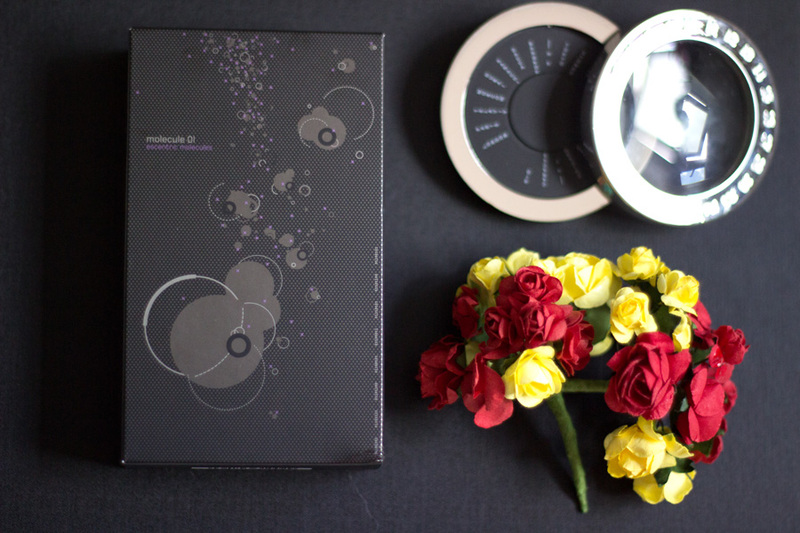 Every unique product usually comes with a hefty price tag and the Escentric Molecule 01 is no exception. It retails for £65 for a 100 ml bottle and £27 for a 30 ml bottle. I already mentioned I was sent the 100 ml bottle but I will purchase the 30 ml refillable bottle because I love the fragrance. It's so ideal for my handbag and I know I may use the bottle when the fragrance runs out. 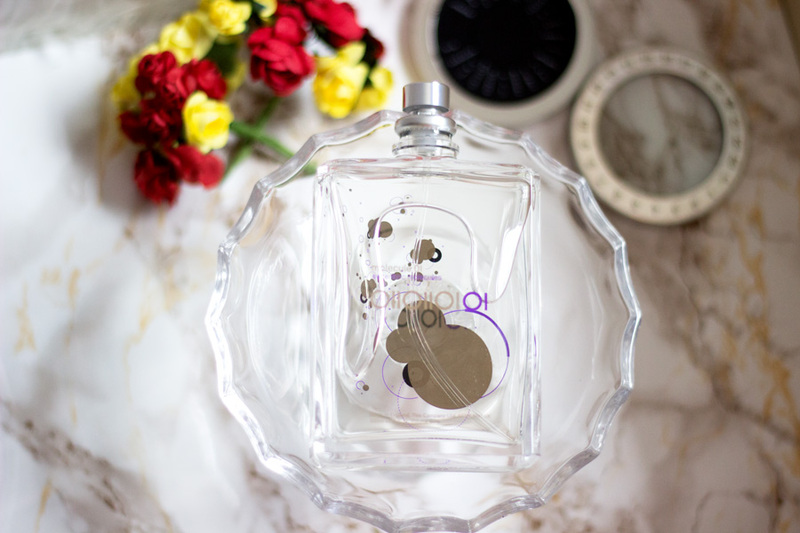 If you are not sure, if you would like this fragrance or not, it's always best to try out the 30 ml version at least you would have a cute bottle to decant the bigger size into if you love it and repurchase it. You can purchase it from Cult Beauty and Liberty and other retailers but those are the ones I know. I think they may be shipping restrictions in place if you are ordering from outside the UK. I really like this fragrance from the packaging down to its unique properties. I know it is not for everyone but it is one I have enjoyed. I don't wear it everyday but I reach for it on days when I feel like smelling totally different.. 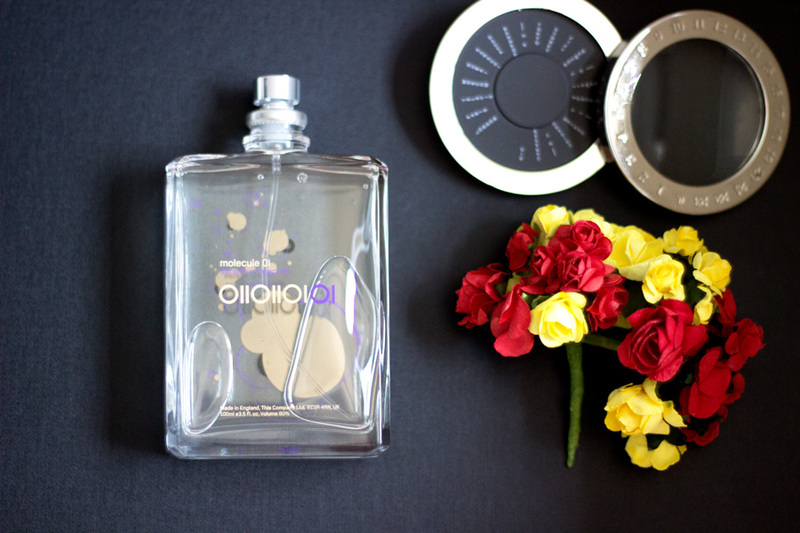 It does remind me of an androgynous fragrance which may be why I am loving it as all my other fragrances are very feminine and this is one that stands out among my entire perfume collection. That's it folks!! 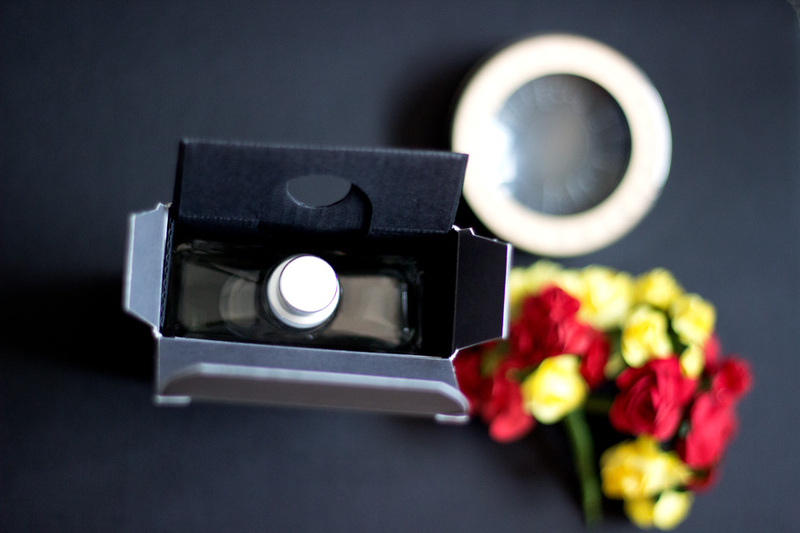 Have you tried the Escentric Molecule perfumes? *PR Sample + Affiliate Link used, read my full disclaimer here. Been wanting to try this out since Felicia Benson mentioned it on her Instagram as being one of her faves. Need to experience it myself. So jealous!